ALE has deployed three new tower cranes at Wind Energy Holding’s 150-turbine Thepharak wind farm project in Thailand. 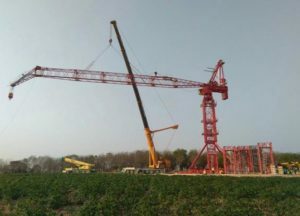 The K1650L cranes provide increased lifting capabilities and can work during high wind speeds, ALE said. 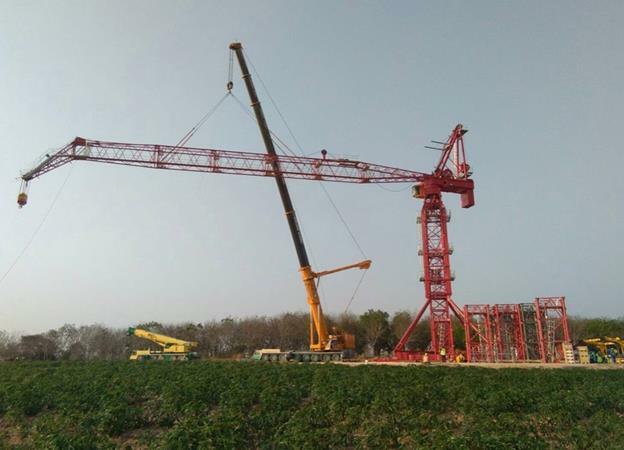 The free-standing pedestal cranes have 70-metre booms, which allows for a shortened up-and-down boom movement compared with an equivalent lattice boom crane, the company said. “This, together with the very short minimum boom radius, allows the developer to reduce the portion of land to be acquired and cleared, eventually reducing costs and environmental impact,” it added.